First, look local. Shelters will be made available. Call the Red Cross or Salvation Army. Or talk with their people, if you see them at the shelter or at temporary command headquarters. Help may also come from organizations such as the United Way, Catholic Charities or United Jewish Appeal. These agencies often supply small cash grants — for food, clothing, shelter, monthly bills, planning, counseling, and sometimes relocation costs. (See contact information below). To find out what agencies are helping, visit FEMA’s website, call your local or state office of emergency management, contact local charities, and/or look at local media (newspapers, radio, TV). Assistance from FEMA occurs after a Presidential declaration of a major disaster has been made. Signs will go up, ads will appear in the media, and word of mouth will spread regarding FEMA assistance once the declaration is made. If you’ve been affected, federal money may be available. You can also use FEMA’s Address Look-up system to find out if you are in a declared disaster area. What’s FEMA aid for? How long does it continue? It’s for property losses or damage not covered by insurance, and for critical expenses (from emergency clothing or vehicle damage to cleanup equipment) that you can’t cover in any other way. FEMA will ask you for insurance information, so file any insurance claims first. FEMA support may last for as long as 18 months beyond the time of the disaster. FEMA can make cash grants of up to $28,800 for disaster-related needs that are not covered by insurance or any other source. But to qualify, you have to register with FEMA. This is key! Either call 1-800-621-3362 for a brief interview, fill out a form at FEMA’s DisasterAssistance.gov website, or go to a Disaster Assistance Recovery Center that’s been set up. Be ready to write down your registration number at the end of the interview. For more details, review the FEMA Application Checklist here. You can also use FEMA’s Find Assistance system that starts with an anonymous questionnaire that returns a personalized list of possible assistance. Once you’ve registered, you’ll receive an application forms related to the assistance for your situation. Complete them all, including the SBA loan form if provided. You’ll have to include proof of residency — mortgage payments, or a driver’s license. A FEMA inspector may come inspect your losses, and you’ll get a determination letter within about 10 days. If you’re approved, a check or direct deposit will be made to your bank account. You must use this aid as specified in FEMA’s letter! If you are denied FEMA aid, your determination letter will state the reason, and you may appeal. After you register with FEMA, reach out to all other agencies that are helping — the Red Cross, the Salvation Army, and others. Take things step by step … reach out to friends, family and neighbors … celebrate small steps … and remember that you can recover. It may take a while. But you can make it. If you are in need of shelter during a disaster, use the Red Cross open shelter map to locate your nearest options, or contact your local Red Cross chapter. If you have been separated from loved ones, use the Red Cross Safe & Well website to let them know you are okay and to locate them. The Red Cross also has a set of disaster recovery guides to help with physical, emotional and financial recovery after a disaster. The Salvation Army’s disaster services responds to natural disasters, transportation accidents, civil unrest situations and terrorist attacks providing food, shelter, and cleanup supplies, as well as emotional and spiritual care to survivors and first responders. As a homeowner, renter, or business owner you may be eligible for low interest disaster assistance loans from the SBA if your home or business is within a Presidential declared disaster area and you have losses not covered by insurance. You can apply for SBA assistance through the DisasterAssistance.gov system or start the process directly with the SBA. Renters and homeowners may borrow up to $40,000 to repair or replace property destroyed in the disaster and homeowners may borrow up to $200,000 to repair or replace their primary residence. Business owners may be eligible for low interest loans to repair and replace business property, equipment, inventory, fixtures and other improvements that have been damaged or destroyed in a declared disaster. Even if your business was not physically damaged in a disaster, you may be eligible for a low interest loan to meet business obligations that could not be met due to the disaster. Artists should know that the U.S. Department of Labor runs a disaster unemployment insurance program for people who are out of work because of a disaster but don’t otherwise qualify for unemployment insurance — mainly the self-employed. To get this help, you must register with your state’s employment services office and provide proof of earnings. Benefits usually start from the date of your unemployment due to the disaster, and can extend up to 26 weeks after the Presidential declaration date. 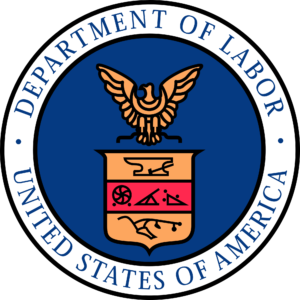 More information on the U.S. Department of Labor Web Site. The Federal Government has set up a website that coordinates information on disaster assistance that is available through at least 17 federal agencies. This website consolidates the application process across several agencies including FEMA and SBA.